Finding ways to effectively manage your hard-earned money can be one of the most challenging aspects of being a small business owner. For those who lack professional financial or accounting training, it is crucial to find the right online accounting tool to help dig you out of all of that paperwork and take back control of your business. Thankfully, we have researched all the best accounting software options on the market so that you don’t have to. We have composed a comprehensive list of financial accounting software that takes the guesswork out of online accounting, including some of the best free accounting software options. Regardless of your individual business needs, there are a myriad of options for small business online accounting available. Regardless of your individual skill level, we have got everything you need to productively and comprehensively manage and monitor your budget, income, expenditures, and invoices. These indispensable web based accounting software programs will help you find exactly what you are looking for to meet your business accounting needs, whether at home, in the office, or on the go. No cumbersome software downloads or external purchases necessary. Whether you are looking for cloud accounting, free accounting software, open source accounting software, personal accounting software, or simply the best small business accounting software available, we have the resources you need to find the best online accounting tools to help you grow your bottom line. As far as accounting software reviews go, Freshbooks tops our list. 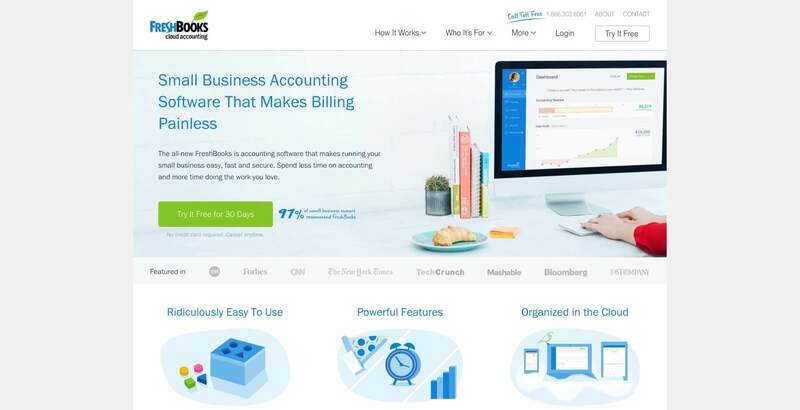 In our opinion, Freshbooks offers the best accounting software on the market, hands down. Thanks to Freshbooks’ uniquely intuitive user interface, you no longer have to go to school and earn an accounting degree to manage your books like a pro. 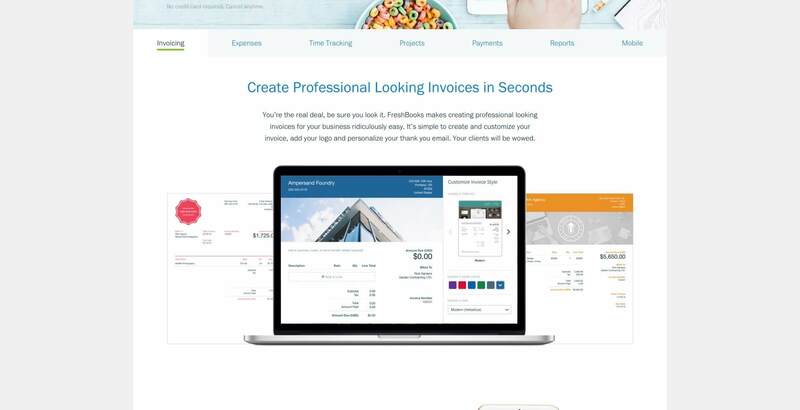 Freshbooks caters to all levels of accounting prowess with its simple and elegant design, making it easy to efficiently manage and track clients and expenses, as well as providing the tools to build custom invoices. A leader in the field of accounting software, Freshbooks was one of the original, and is still one of the best, small business accounting software solutions on the market. All of this for the very reasonable price of around $19.95 a month. QuickBooks is undeniably one of the best online accounting software solutions on the market. A leader in the industry, the company launched its first product, Quicken, way back in 1983. QuickBooks beautiful interface is loaded with features and has everything you need to suit your small business accounting needs in one simple and practicable package. 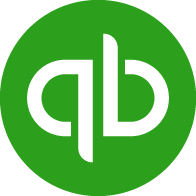 In its current and recently revamped manifestation, QuickBooks offers unrivaled flexibility, adaptability, and efficiency, making QuickBooks a perfect choice to fill all of your small business accounting software needs. If Intuit’s QuickBooks stellar reputation and intuitive user-friendly interface are not enough to convince you, QuickBooks even offers a free 30-day trial that is a great solution for those who want to test out the waters risk-free with free accounting software options. GoSmallBiz not only provides all the tools to make creating detailed business plans easy, but also all the advice you need to make your small business run smoothly, effortlessly and efficiently. Looking for a way to access free accounting software online? Sign up to try this easy-to-use small business accounting software free for one-month risk-free and ensure that your small business accounting essentials are covered wherever you go. Even better, GoSmallBiz doesn’t require a contract so you can cancel whenever you want, on your own terms. GoSmallBiz is the only software you need to meet all of your small business accounting requisites in one spot. Get the help you know you want to get you on your feet and running strong with GoSmallBiz.com. Ballpark is a great solution for small business owners who are looking to try free business accounting software with no risk. Sign-up for the free one-month trial and find out why Ballpark is the choice of thousands of successful clients and companies across the globe. Ballpark is convenient and easy to use, and the online template goes where you go so there is no software download necessary. Featuring an interface that is as attractive as it is uncomplicated, Ballpark takes the mystery out of accounting jargon. When it comes to invoicing and accounting, Ballpark is amongst the best accounting software you can get to handle the job. Recurly not only offers all of the basics, but is also a huge cut above the other online accounting software options when it comes to subscription management and integrated payment processing. Join the leagues of successful companies worldwide that are using this top accounting software platform to streamline their business accounting performance. Recurly is uniquely suited to take the difficulty out of managing subscriptions and give your business the edge it needs to succeed. 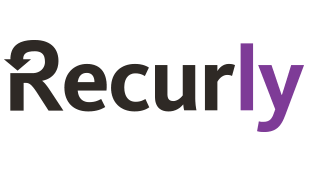 Recurly is an enterprise-level interface designed to handle the global market, providing the level of security and support you need to take your business to the next level. As a newer option for accounting software for small business, Xero boasts some notable perks, including customer service that is a cut above many of the competitors. Providing a beautiful platform with everything you need to manage your small business, Xero is a formidable alterative to QuickBooks in terms of effective and convenient small business accounting software. And because Xero is cloud based accounting, it is adaptable to any device anywhere, meaning that you can take your accounting with you. No cumbersome software downloads necessary. 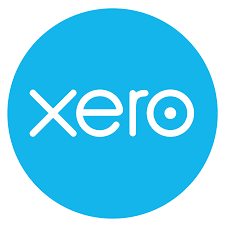 Xero also provides many extra services and add-ons that you can’t get with other more basic accounting software at a comfortably affordable price. Xero has all the bases covered in terms of all of your small business accounting software needs. Invoicebus is a web app that focuses on one of the most crucial aspects of small business accounting – invoicing. 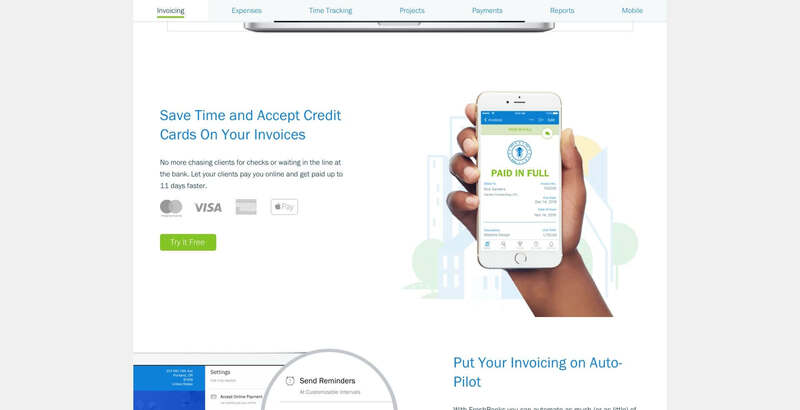 Invoicebus is business accounting software designed to make invoicing easy, helping you create and distribute invoices in way that puts hours back in your day and ultimately saves you time and money. Invoicebus’ targeted focus on invoicing makes it especially well suited to manage this particularly imperative component of small business accounting. Because of this, Invoicebus easily makes our list of top 10 accounting software options. Not to mention that it is offered at a very reasonable and affordable price. When those invoices start piling up, Invoicebus will help you sort through the clutter and get your small business back on track. AccountEdge Pro is one of few desktop-based small business personal accounting software still on the market. A great option for small business owners who would like to avoid the monthly subscription payment, AccountEdge Pro is comprehensive without being overly complicated. AccountEdge Pro is an excellent choice for those who want the extra features that web based accounting cannot offer. And if you still want to be able to take your business online, there is an optional cloud app download available. AccountEdge Pro is accounting software small business owners have relied on for over 30 years, and has managed to adapt with the times to remain on top. FreeAgent is cloud accounting specifically designed with the needs of freelance and small business owners. Since its inception in 2007 the company has demonstrated exponential growth and has consistently generated positive reviews. The company also offers options for its users to save money, including a 30-day free trial and an innovative referral program whereby the service becomes absolutely free after the 10th referral. The interface is comprehensive, simple and jargon-free, taking the guesswork out of small business accounting. FreeAgent is one of the best all around options on the market for small business owners who want easy access to affordable, useable, and adaptable accounting software online. GnuCash is a simple but effective free open source accounting software. Best suited to small business accounting purposes, it is straightforward, effective, and mostly easy to use. Furthermore, the program’s relative popularity ensures that there are plenty of instructional videos available online. While the somewhat basic and clumsy interface might not hold up well in terms of a major accounting software comparison, when it comes to saving money on accounting, GnuCash is one of the best free accounting software options available. For those who want to try out basic cloud based accounting without the commitment or cost, GnuCash is a great place to start. Harvest is one of the most popular accounting software options on the market for businesses that need powerful time tracking and project management services in addition to other basic accounting functions. The perks of using Harvest include the affordable pricing options, offering a free 30-day trial with the option to downgrade to free basic service or keep the same version for a monthly fee at the end of the trial period. A 15% discount for educational or non-profit organizations makes Harvest a top choice for school, NGO, or church accounting software. Harvest provides great value for a high level of customer satisfaction, including a beautiful interface with superb time tracking capabilities. Whether you are looking for the best accounting software for small business or the best home accounting software, Hiveage’s customizable template ensures that you get the features that you need and want and don’t pay for the extras that you don’t use. Affordable pricing plans, great customer service, above average usability, and frequent updates makes Hiveage one of the most attractive options for small business accounting software on the market. Hiveage also comes in both highly translatable mobile and desktop versions. And whatever your level of financial know-how, Hiveage’s flexibility makes it a workable program for beginners and experts alike. If you are looking to get the most bangs for your buck, Hiveage is for you. Kashoo is cloud based accounting software for business. A great option in particular for small business and freelancers, Kashoo features strong income and expense management on a simple, uncluttered interface. While the price has recently increased, Kashoo still gives you everything you need to keep your finances on track for a modest cost of $19.95 a month. In all, Kashoo offers all the features at a reasonable cost, plus it still provides better income and expense tracking and customer support than free cloud based accounting software options. If you are looking for reliable, easy accounting software for small business, Kashoo is a great option for you. Intacct is the best online accounting software for small businesses that want to grow their bottom line. Intacct is particularly suited for future forecasting, providing some of the most versatile and advanced capabilities for generating reports. Intacct also has everything you need to keep your books up to date and organized in the present moment, administering a user-friendly enterprise level interface that will give you the tools you need to see the big picture and be confident in your ability to expand your business. Because of its handy chart generating capacity, Intacct is one of the most appealing options on our accounting software list. GoDaddy bookkeeping, formerly Outright, is the one the best business accounting software options to keep you prepared for tax season year round. In addition to calculating your quarterly tax estimates, GoDaddy also offers great invoicing, time tracking, and direct integration capabilities. For those who are inexperienced in matters of finance, GoDaddy offers easy cloud-based accounting and clear instructions that are translated into layman’s terms at a very affordable price of $4.99 a month. If you are looking for easy accounting software that will help you in the know in terms of your and won’t cost you an arm and a leg, GoDaddy is great option for you. Simple Invoices is just that, simple accounting software for small business. It is web based open source accounting that goes where you go and offers the invoicing features of other more expensive programs without the cost. But the best perk by far of using Simple Invoices is that it is completely free. Simple Invoices is a great solution for freelance, startup or one-man businesses that are looking for all the capabilities of pricier accounting software without the cost. If you are looking for a way to access practical and useable small business accounting software free, Simple Invoices is a great solution for you. WorkingPoint is simple accounting software that offers all of the features at an affordable price. WorkingPoint gives you impressive invoicing capabilities, tax features, and a number of handy management features on an easy to use and accessible interface design. The plans vary in price from a very reasonable $9 – $19 a month with a 30-day free trial. As such WorkingPoint has quickly become popular accounting software with smart business owners who want all the perks at a fraction of the cost offered by some of the more established competitors. For an extensive online accounting that offers value without compromising quality, WorkingPoint is the ideal solution for your small business accounting needs. Managing your own small business is a daunting task. You find yourself playing the role of expert in many fields, and when it comes to accounting it is easy to get in over your head. Luckily we have got all the online accounting tools you need to effectively manage your needs, whether that is basic accounting for small business, cloud accounting, or enterprise accounting. Whether your goal is to save time, money, or simply get organized, we have found the best small business accounting software to get done what you need to get done. Take the guesswork out of accounting with affordable accounting software packages that do the hard work for you so you have more time to focus on your bottom line. Sage50 offers advanced business accounting software geared towards those who are already experienced in the realms of accounting and finance and want a platform that will make the most of their repertoire. Sage50 gives you the professional grade accounting tools you need in order to manage your finances and help you to grow and expand your business. Sage50 not only offers all of the basic accounting features, but also tons of unique extras that allow you to manage everything from inventory, vendors, customers, projects, and fixed assets, to customizing reports, and generating precise data. And while this particular accounting software small business solution is geared towards trained accountants, the beautiful and easy to use interface is flexible enough to be used and learned by non-accountants as well. LessAccounting is simply accounting software, nothing more, and nothing less. Billeted as software for those who do not enjoy accounting, LessAccounting is a great alternative to open source accounting software for those that want a basic interface with added security. Boasting easy to use features that will not confuse you with extra bells, whistles, or jargon, LessAccounting offers three different pricing options to suit the size and needs of your individual business. As a viable competitor to larger accounting programs, LessAccounting offers automated workflows, income and expense tracking, useable reports, and good connectivity, as well as tech support for those who seek it. LessAccounting is accounting made easy. Why pay somebody else to manage your personal finances for you when there are so many intuitive and affordable accounting software options available online? Web based accounting is an easy and inexpensive way to manage your home finances easily and effectively. Whether you are looking for basic accounting software, cloud based accounting software or simply free accounting software, we have everything you need right here. And the best part is that we have already done all the research on the best home based accounting software options out there so that you don’t have to. Empower yourself to take control of your own finances with personal accounting software that does the dirty work for you. Find everything you need to choose the right online accounting system that works for you right here. Billster is a free and portable online accounting tool that allows you to effectively manage your personal, small business, and shared expenses. It’s convenient web based platform is a great alterative to other basic accounting software options, letting you safely and securely maintain your finances or even get your personal expenses back in order wherever you are, whether at home or on the go. Billster also features a handy reminder tool that will help you to make late payments a thing of the past. Billster even provides free automatic emails of your summary expenditures so you never forget to look at the big picture. For those who are always on the go, Billster is the perfect online accounting solution to help you keep track of your life. Buxfer is an intuitive online platform that is accessible and easy to use. It provides all of the basic tools including financial planning, budget management and investment planning. It also includes a convenient connectivity tool that lets you sync all of your personal accounts so you can track all of your transactions in one place. Buxfer’s accessible and versatile online platform and diverse range of features makes it a formidable competitor to even the best small business accounting software options. If you are looking for simple and easy to use web based accounting software to help you take control of your personal finances, Buxfer is a great choice for you. 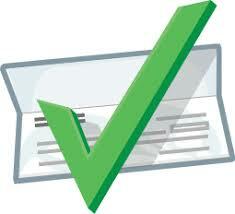 ClearCheckbook is cloud accounting software designed to help you organize your personal budget and expenses. ClearCheckbook is a cut above the competition in its ability to generate comprehensive reports, making it one of the best accounting programs for small business and personal expense tracking. ClearCheckbook also provides free tutorials, allowing you to learn just as much or as little as you need to effectively mange your personal or small business expenses in the most efficient way possible. With ClearCheckbook, all your basic accounting features are completely free. You only pay for any specialized extras you would like to add-on according to your level of expertise. Whether you are an expert or a zealot, ClearCheckbook gives you the tools you need to manage your money. Indybudget is a great option in terms of free accounting software for small business and personal needs. Indybudget is a web based accounting software, so all you need to do is sign-in to have all of your personal accounts, budget planning, and expense tracking at your fingertips. The easy to use online platform is safe, secure, and ad-free, giving you all of the key tools you need to keep your finances in order wherever you go. Not only is the basic version of Indybudget completely free, but also you can choose to upgrade to the pro version for a very reasonable cost of only $4.99 a year. If you are looking to find cheap accounting software, Indybudget can’t be beat. Mint gives you web based enterprise accounting software at your fingertips. In terms of free online accounting software, Mint is undoubtedly one of the most popular and trusted options available. It is particularly well suited to manage your budget and track your expenses. It also allows you handy features to track financial goals and monitor credit scores. Mint is specifically tailored to be accessible for everyone, and is a perfect option to help you monitor your personal spending. While not particularly well suited to the expert user, Mint is a great option for anybody hoping to simply manage and monitor home finances and expenditures. BillQ is a great option for those looking for affordable and effective home accounting software. 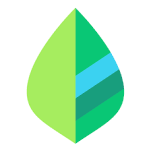 Geared toward those who struggle to keep up with their expenses, BillQ lets your track your bills, receive reminders, and avoid those late fees to help you keep that hard-earned money in your pocket where it belongs. It also provides a helpful tool to track your cash forecast. And if you are not convinced that it is the right option for you, BillQ offers a risk-free 30-day trail. BillQ’s convenient online accounting system gives you the tools you need to pay, manage and track your bills on the spot, whenever and wherever you are. In terms of personal online accounting software, BillQ is a perfect financial management tool for those who are always on the go. When it comes to effectively managing a small business, long-term financial planning is crucial. Whether you want to whip your spending into shape or simply maximize the investment of your expenditures, we have all the resources to find the perfect online accounting tool to help you take control of your budget. These online tools will provide everything you need to get your spending on track and make sure that it stays that way. These web based accounting services are specifically geared toward ensuring that your money is always going to where it needs go, so that you can be confident in knowing that you are getting the most back from every precious investment you make. ExpenseView is a free accounting software download that helps you figure out exactly how and where you should invest your hard-earned money. Not only is ExpenseView free, but also it incredibly easy to use. Simply add your invoices and let ExpenseView assemble the data so that you don’t have to. Even better, ExpenseView allows you to customize and create your own categories to suite your own individual lifestyle. Quite simply put, ExpenseView is the best cloud accounting software to demystify your budget and get a grasp on the big picture, giving you all the tools you need to get the most out of your precious resources. Mvelopes offers web based accounting made easy with a beautiful interface and accessible features. Even better, you can get free small business accounting software at your fingertips with Mvelopes risk-free one month trial. If you like what you see, you can choose the best package to suit your personal or small business budgeting requirements. Mvelopes offers loads of exclusive extras like an innovative and easy to use interactive learning center and even personal financial trainers to ensure that you have everything you need to get your finances on the right track and follow through to make sure that they stay there. When it comes to small business accounting software, Mvelopes is a superior option for comprehensive and affordable budget management. When it comes to small business management, shared expenses can be a real mess to sort out. This list of online accounting tools will give you everything you need to avoid wasting precious time wading though and untangling shared costs. Because as we all know, time is money, and when you are a small business owner you have to use your precious time to focus on what really matters. These are the web based accounting tools you need to give you simple, effective, and reliable ways to track, consolidate, and manage your shared expenses so that you don’t have to. When is comes to managing shared business expenses, Expensure is the perfect online accounting software for small business. Expensure uses a patented algorithm to track circular expenses, making it easy to keep on top of whom owes what to whom, and what debts cancel each other out. You can also pay back many parties at once with a single unified transaction. Even better, its mobile friendly online interface ensures that Expensure’s handy features are available to you wherever and whenever you want them to be. The best part about Expensure is that it is completely free, which means that you not only save precious time, but also money. Expensure has everything you need to get your costs in order so you have all the time you need to focus on running your business. Depending on your individual business needs, there are number of excellent online accounting tools that don’t require you to go out, purchase, or install any software. Instead, these services operate on monthly fees and allow you to access your data on the go while logging into a cloud account. Here are some of the top new online accounting tools available for businesses today. As the name implies, Freshbooks is a breath of fresh air in the world of accounting software. In our opinion, it is the best accounting software for small businesses. While most accounting tools employ a great deal of high falutin jargon terms that require either a handy dictionary or a degree in accounting, Freshbooks avoids the specialized language and offers its users a simple, intuitive interface that is tailored to non-accountants who nonetheless, find themselves in need of a decent piece of accounting software. The simple, user friendly interface was a radical break from establishment accounting tools that catered specifically to accountants and bookkeepers who understood and developed the software and jargon. Because of the proactive concept and the simplified language, several jargon free clones of Freshbooks have sprouted up all about the internet, but Freshbooks was the first, and still one of the best. Freshbooks will run you $19.95 a month. For those who like the old style of desktop based accounting tools, AccountEdge Pro is one of the oldest and one of the best. Instead of paying a monthly fee, users purchase a one time license with the software itself, at a cost of $399 and from there on, it costs $249 to add other users to the license. AccountEdge Pro is a great piece of software because it has been in development for over 20 years now and continues to add modern features despite the fact that it retains elements of older style software. You can now access your accounts from anywhere using their web based browser interface and a convenient mobile app, but the full desktop version offers a feature rich interface capable of managing all aspects of your company’s accounting. This includes sales, purchases, time billing, contracts, payroll, and inventory. Web pay, and profitability reporting are key features that have been added to keep up with the growing needs of smaller businesses. If you’re looking for the best accounting software, AccountEdge Pro is going to be your choice. Xero is one of the newer cloud based accounting tools that has some excellent features for small businesses. While it is not as feature rich as AccountEdge Pro, and not as layman oriented as Freshbooks, it has some features that set it apart from both. If you’re looking for something that is cheaper than AccountEdge Pro, but more feature rich than Freshbooks, then Xero may be exactly the tool you need. It features good account management and inventory tracking and has a great number of add ons that extend the functionality. There are few missing features that might prevent Xero from being the ideal accounting software for your business, but if you can get away without needing billable event time tracking, then the low price of $30 a month should be exactly what you need for your small business.